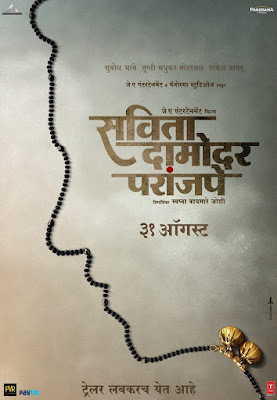 Recently "John Abraham" revealed the first look poster of his first upcoming marathi production "Savita Damodar Paranjape" on his twitter account Along with the poster, John also revealed the date of its trailer release. He captioned the post as, "ट्रेलर लवकरच येत आहे". Presenting the teaser poster of Savita Damodar Paranjpe. The story of the film is based on highly successful Marathi play with the same name "Savita Damodar Paranjpe". In 1980's play was huge craze among the theatre goers. It was directed by Shekhar Tamhane, starring Rajan Tamhane and late Reema Lagoo in the lead roles. Raqesh Bapat and Angad Mhaskar in the pivotal roles. story of the film is written by Shirish Latkar. Nilesh Mohrir and Amit Raj have scored the music.